In Utopian World, enormous flowers hang suspended in mid-air, butterflies flutter on the lunar surface, and waves crash in outer space. 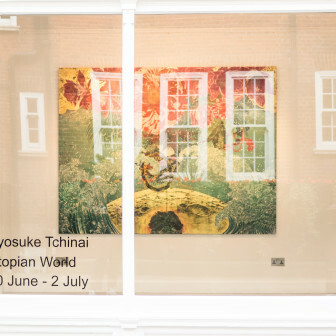 Kyosuke Tchinai has referred to painting as ‘the great weightless world,’ and his work showcases art’s ability to liberate from the mundane. His paintings depict a natural world untainted by corruption and populated solely by beautiful creatures. 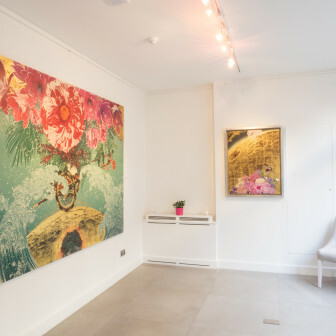 In Tchinai’s painted utopias, the beautiful things of the natural world share a mystical relationship that defies formal logic. Tchinai’s delicate line has its roots in Edo-era ukiyo-e prints, and his use of gold and silver leaf employs a technique dating back to the opulent silk screens of the Momoyama period. 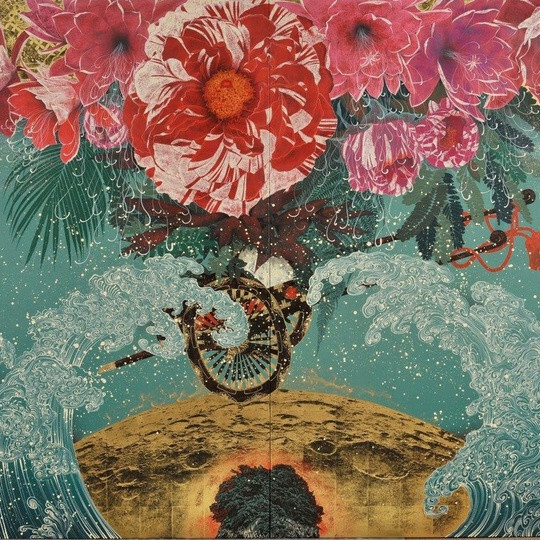 His practice is not merely traditional, however – Tchinai translates Japanese motifs into a modern, international idiom. As a youth, he nurtured a love for European painting, which led him to study Oil Painting at university. Tchinai’s work draws particularly on that of the Impressionists, many of whom were devoted admirers of Japanese visual culture. Kyosuke Tchinai was born in Ehime Prefecture in 1948, and began his study of Oil Painting at Tokyo University of the Arts in 1967. He eventually grew dissatisfied with Western-style artistic technique, leading him to abandon oil on canvas entirely. Creating his own artistic medium, Tchinai now works in acrylic and precious metals on Japanese washi paper. His mature style reflects his immersion in two of the great canons of art history. 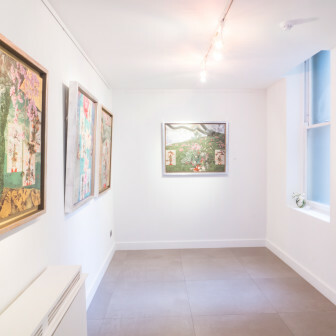 Tchinai’s paintings engage in the dialogue between Japan and the West, with influences ranging from Klimt and Cézanne to Japanese masters such as Hokusai and Sotatsu Tawaraya. His paintings hang in museums throughout Japan, and he has been featured in numerous exhibitions in Europe. His work has been purchased for a number of prestigious private collections, including that of the Rothschild family. 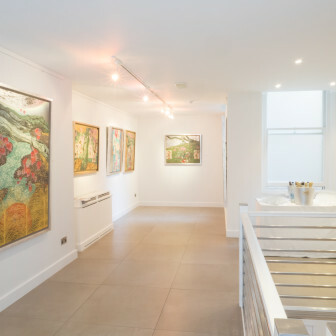 Gallery Elena Shchukina will also be presenting a selection of Tchinai’s paintings in the Asian Art in London pavilion at Masterpiece London (30 June – 6 July) during the exhibition.